Major Boris Johnson has pledged to ignite a “cycling revolution” in London. The city is spending million of pounds on the cycling hire scheme and “cycling superhighways”. However, there are a lot of small things which could be done to significantly improve safety and convenience for cyclists in London. In this section named “London’s Cycling Wasteland” I’m going to present some examples. They are coming from my own daily experiences on London roads. I’m starting with an example that annoys me each time I’m cycling towards the City from Highbury. It is all about the northern end of Bath Street in Clerkenwell and the Old Street roundabout aka “Junction of Death” in Shoreditch. The infamous Old Street roundabout in Shoreditch is a hot spot for cycling accidents and has been nicknamed the “Junction of Death” by cyclists. In February 2011, there have been two severe accidents involving cyclists within a few days. On Feb 16th a lorry knocked down a cyclist on the corner of Baldwin St and City Rd during the morning peak hours. 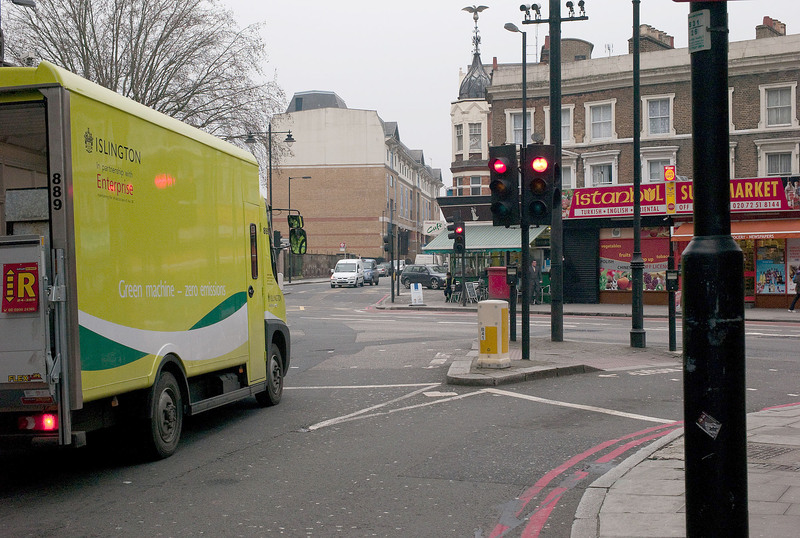 On Feb 24th, for example, another cyclist was hit by a van and has been critically injured. The northern end of Bath Street (across the street), seen from Shepherdess Walk. Southbound cyclists are not allows to go straight on because Bath Street is a one way steet. Leo is talking about this area and he is absolutely right: In theory Shepherdess Walk, Bath Street and Bunhill Row are perfect for avoiding the Old Street roundabout. Legally, however, this works only for northbound cyclists. Southbound cyclists, unfortunately have to break the law if they want to avoid the “Junction of Death” – the northern end of Bath Street currently is a one way street without any contraflow system. Since I live in Highbury I’m frequently using that junction when I’m heading towards the City. I’m trying to avoid main roads as much as possible. That’s why I neither use New Road (A1200) nor Upper Street/Angel. Coming from Essex Road, turn on Packington Street, cross the canal and continue south on Shepherdess Walk until City Road. It would be very easy just to cross City Road and continue southbound towards the city on Bath street (see the track on the map). 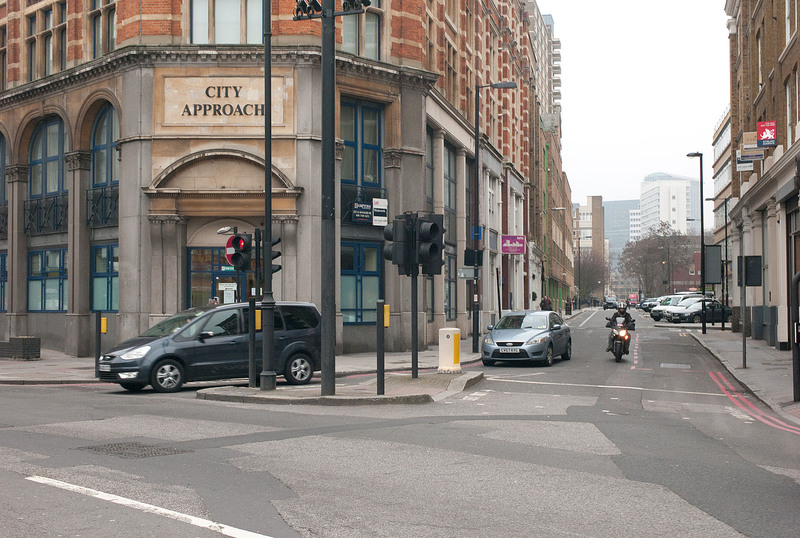 If you were a law-abiding cyclist, however, you would have to make a left onto City road and then pass the Old street roundabout. This way is not only longer but much more dangerous than cycling on Bath street. Hence, a lot of cyclists (including me) just ignore the one way street and continue on Bath street. This, however, is not only illegal but a little bit insecure as well thanks to an odd pedestrian refuge island on Bath Street. If Bath Street was open for southbound cyclists at City Road they would be able to circumvent Old Street roundabout on their way towards Liverpool Station or Bank. Those cars turning right from Bath Street on City Road are the major obstacle against having a contra flow system for cyclists. Right turns for cars from Bath Steet on City Road should be banned. I suspect that the current layout of the junction of Bath Street and City Road has been the reason why the one way street has not been opened for cyclists yet. Currently, a pedestrian refuge island with traffic lights divides Bath Street and creates a separate right turn lane for northbound traffic turning from Bath Street on City Road. The junction Bath Street / City Road seen from the opposite side of City road. The right turn lane for the cars is the issue. This creates an awkward situation for southbound cyclists who are at the risk of getting in conflict with northbound cars turning right on City Road from Bath Street. Hence the layout of the junction would have to be remodeled before any contra flow system for cyclists could be installed. The best solution from the perspective of cycling safety would be to close the northern end of Bath Street for cars completely. I think that the pedestrian refuge island and the right turning lane are completely unnecessary. Bath Street is a rather calm and narrow road which can securely be passed by pedestrians without any refuge island. From a cyclists perspective the best thing would be to ban right turns for northbound cars on Bath street completely. (They could easily use the Old Street roundabout instead). If that suggestions was considered too radical, on Bath Street right turns on City Road could be prohibited. For drivers this would be a minor inconvenience. Northbound motorized traffic would have to do a little detour via Old Street and the Old Street roundabout. A secure contraflow system on the northern end of Bath Street would be a major gain for the safety of cyclists who then could easily and safely avoid the “Junction of Death”. The big irony is that we are talking about just 50 meters of road (see last picture). South of Lever street a contraflow system on Bath street actually is in place. I’m pretty sure that this would avoid accidents and save lives in the course of time. Rebuilding the junction surely would cost some money and deliver some minor inconveniences for car drivers. “Cycle safety is a huge priority for TfL and we constantly monitor our roads across London to ensure that they remain safe for all road users. If you mean what you say, please open up Bath Street for southbound cyclists! Great post, have you copied it into the London Cycling Campaign? The Mayor’s policy of encouraging people to cycle in the vague hope that ‘more cyclists means more safety’ is clearly not working on Old Street roundabout. 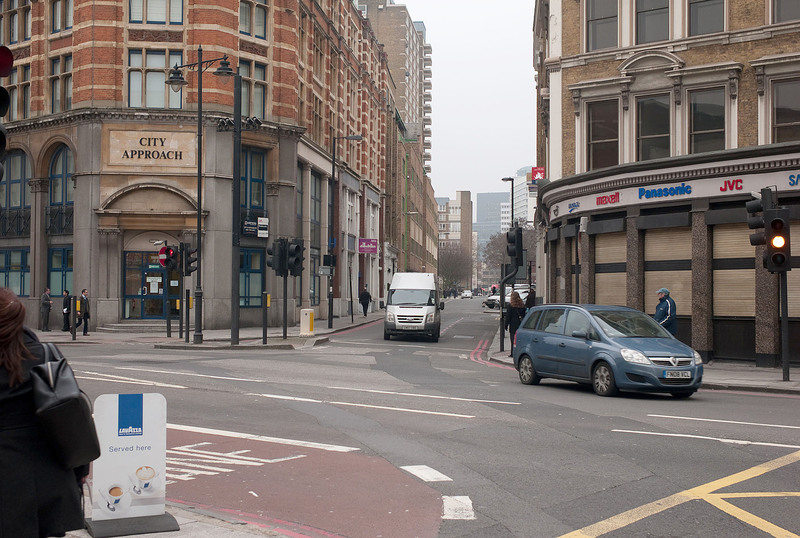 It has taken years to get TfL to make life easier for cyclists at another death trap – Elephant & Castle – but that has only been made possible by regeneration / commercial development in the surrounding area. Many thanks! I will try to get in touch with LCC, but I’m not quite sure where to place it. Do they have an online forum? LCC are in the process of updating their website.. not sure when that’s due though.. I think your piece would make a great story for the LCC magazine. Thoroughly agree. 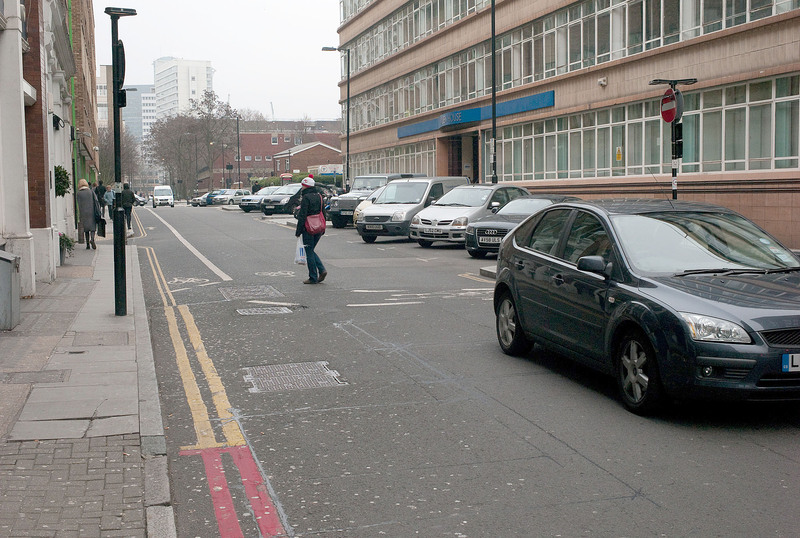 I work at Moorfields, and I think I saw one of the crashes you mention; looked a very nasty business. I go round it, and try to ride as assertively as possible, sticking to the middle of lanes, (and observing the lights, unlike certain cyclists I could mention) but cars and vans just don’t understand it. Thank you Tom for joining the debate. I guess you are aware that Old Street roundabout can be easily avoided by westbound riders (use Leonard Street instead) and northbound rider (Bath Street). My personal decision for southbound rides is using Bath street as well taking great care with regard to the oncoming traffic. I personally feel much safer there than on the roundabout. For South Bound from Islington I prefer going down Graham/Central St across City Road, left onto Lever St then you join up with the cycle lane on Bath St.
Stephen, many thanks for your comment. I wasn’t aware of this. It would perfectly make sense to have a contra flow system in Bunhill Row as well. I’ve already sent this email to the councillors.